SuperLife Slant-D Ring Binder is made from heavy-duty, injection-molded polypropylene with a dual-fold living hinge cover. Material will not crack or break, even with most active use. Material will not lift or transfer ink or toner. 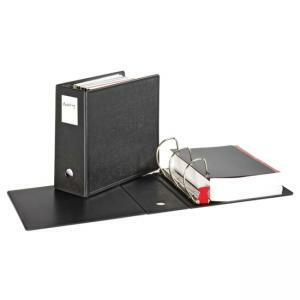 Binder is archival-safe for all documents and photos. Patented EasyOpen Locking Slant-D Rings open and close with a single touch of a finger. Binder earned the Ease-of-Use Commendation from the Arthritis Foundation and includes sheet lifters and labels for easy identification.